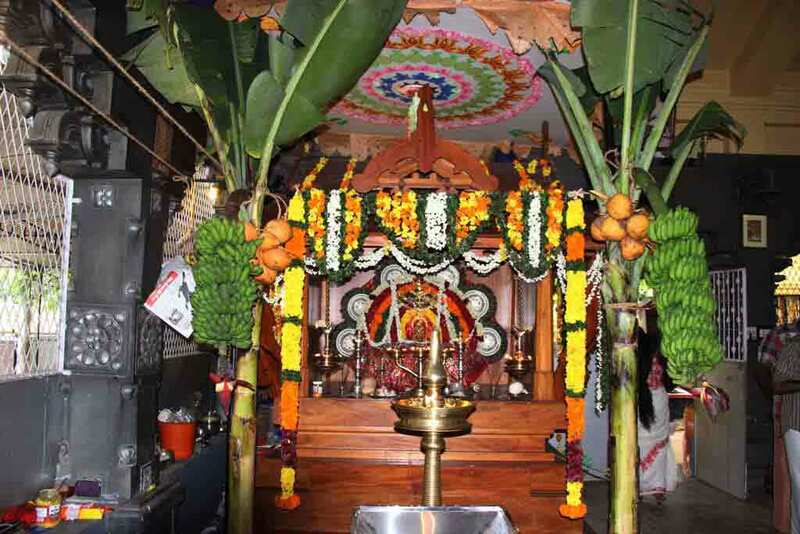 The day of the oracle of Vishnumaya in the Malayalam month of Makaram, is celebrated with Thiravellattu Mahotsavam. In the month of Midhunam three days starting with the star Uthram are celebrated as the festival in connection with the Consecration Day. 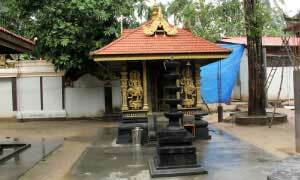 There is Pattutsavam in the month of Thulam. All these are celebrated in a grand manner. 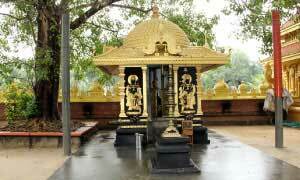 The festival of Chathan Swami starts with a procession of Kavadis from the temple of the Lord of Thriprayar. Once the Kavadi reaches the Kuttichathan Kavu there is the anointing ceremony which signals the beginning of the three day festivities of the Thira Mahotsavam. On the first day there will be meetings where leading personalities from the fields of art and culture, leaders of social and political groups and the prominent people from various communities participate. These meetings are today marked as historical occasions in the central Kerala region. 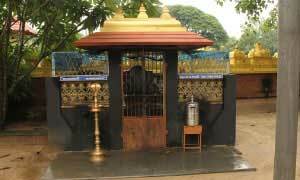 Devotees believe that if they can see and offer worship and offerings at the Roopakalam of Vishnumaya on that day, all the problems that they have been facing in life will be removed. 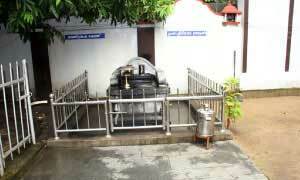 The evidence for this belief is in the huge number of devotees who arrive here on that day. Apart from the devotees many foreigners as well as those who are engaged in the study of traditional art forms come there to see the beautiful Roopakalam and witness the Thirayattam of the Thiramannans. 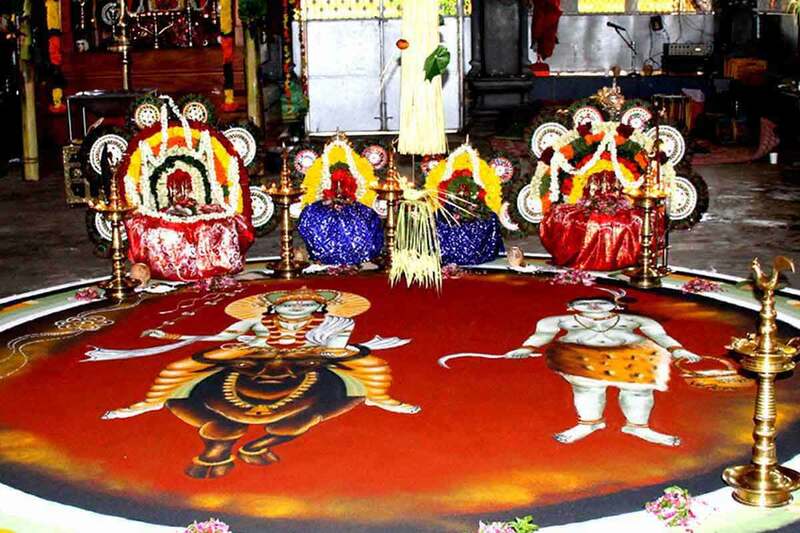 The Thiramahotsavam at the Kuttichathan Kavu is today as famous as the pilgrimage to Sivagiri. The innumerable devotees who participate in this, go back with a fully satisfied mind and higher spiritual thoughts. Lovers of the traditional orchestra like Nadaswaram, Pandimelam, Pancharimelam and Panchavadyam, get a chance to enjoy the best performance when the deity is taken out in a procession on the third day. All the different forms of the orchestra perform together as a grand finale and then comes the grand fireworks.